Singapore’s Kun-Xian “Xian” Ho on Sunday defeated Japan’s Daigo Umehara to win the Street Fighter IV Arcade Edition 2012 (AE2012) event at the Evo 2012 Southeast Asia Major held in Singapore. Xian, who had already defeated Daigo once in the winners’ bracket semi-finals, dealt Daigo a 7-5 defeat in the first-to-seven grand finals. During the course of the match, Daigo — who usually uses Ryu in AE2012— switched to Yun and Guile in an attempt to counter-pick Xian’s Gen, before eventually switching back to Ryu. Daigo managed to narrow Xian’s four-game lead down to just one, but it was not enough as Xian finally took the final tournament point. 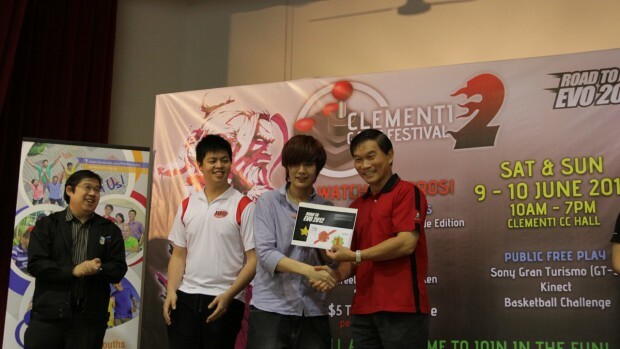 Xian, who represents Team Desperation Move (Team.DM), wins for himself a fully paid-for flight and accommodation to Las Vegas, USA, to participate in the Evo 2012 main event in July. 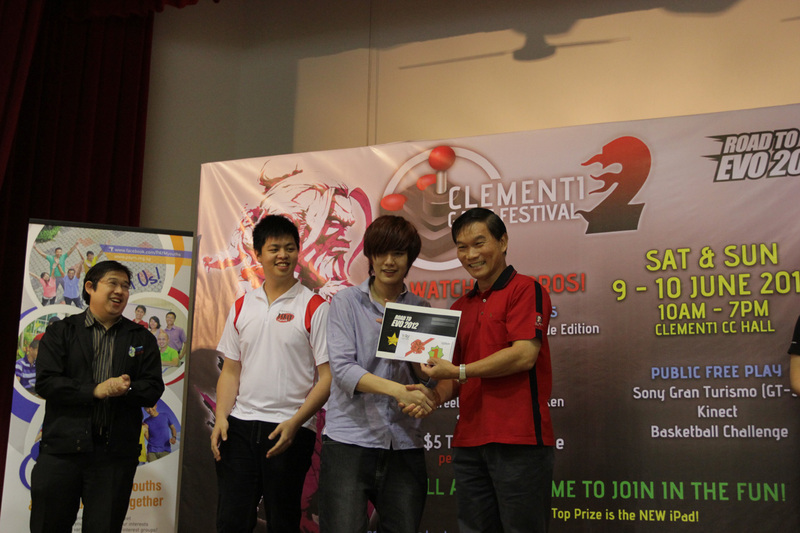 Xian also took first place in the Street Fighter x Tekken and Ultimate Marvel vs. Capcom 3 events. Special thanks to Mark “SBK” Chionh and Samuel “Aheda” Ong for the match and tournament information and corrections. Photo courtesy of SG Fighter.